This picture is taken from the classroom's agenda board. 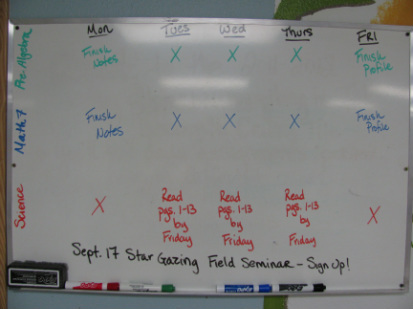 This information will be what your students look at to complete their agenda. If you see a piece of information that is not clear, please email me. These pictures will be put up each monday; help your student's organization by checking this posting each week. For some students it might be beneficial to go through this information with them.